As unlikely as it seems, empty nesters and young families are often on the same wavelength when it comes to looking for a new place to call home. Though the two demographics are clearly at different stages in their lives — one is searching for a move-down home, while the other is on the hunt for a move-up home — their list of must-haves is often similar: it must be move-in-ready, livable and well-located. Carla Arnason of Re/Max Executives Realty said she has a home in River Heights south that checks each of those boxes. 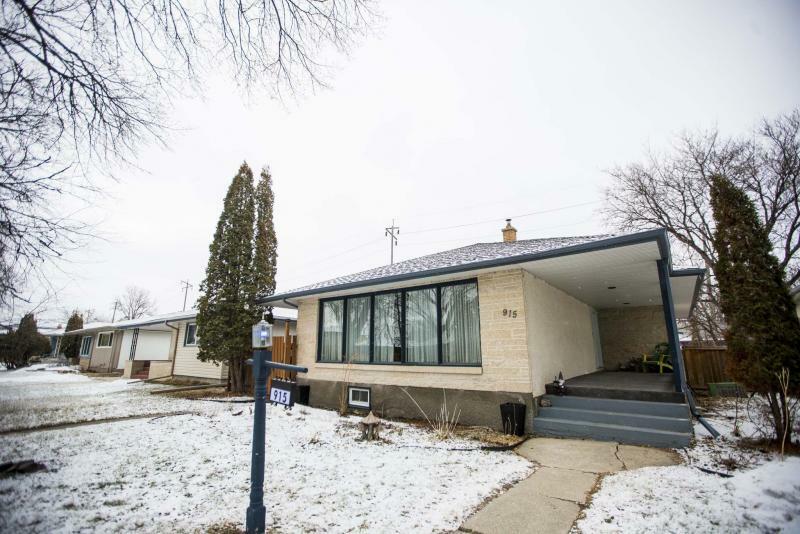 "I just listed a bungalow at 915 Campbell St. that offers wonderful curb appeal, some nice upgrades and a great location. The outgoing owners had started updating the home, but had to move unexpectedly. Even though the updates weren’t fully completed, the home is in move-in-ready condition." Most importantly, she notes, the home, which was built in 1958, is in great shape both structurally and esthetically. "As the saying goes, it has good bones. It’s solid and straight, and is in excellent condition throughout. It’s also been well-maintained, so everything looks good, from the oak hardwoods to the paint, trim and accessories." Turns out, the 1,312-square-foot bungalow is also eminently livable. Because the home was built in the late 1950’s, its layout is far more user-friendly than similar homes built in the 1930’s and 1940s, when floor plans were far more rudimentary. Arnason said the home’s livability originates in its wide, tiled foyer and spreads out from there. "You’re greeted by a spacious foyer that transitions beautifully into an L-shaped living room and dining room. A huge picture window on the home’s front wall lets in lots of natural light, and flow from the living room into the dining room and then on into the kitchen is really good. The main-floor layout is ideal for entertaining." 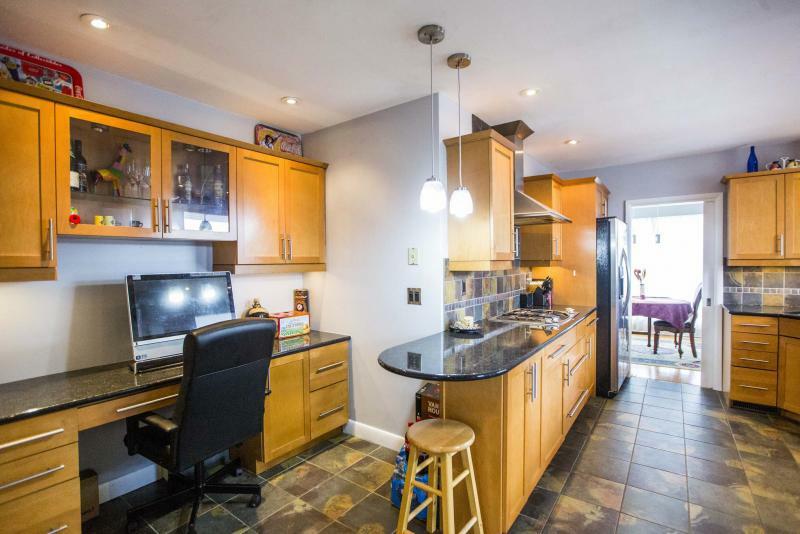 Just as 915 Campbell’s living room/dining room area is more functional than similar spaces in other River Heights homes, so too is its kitchen. For starters, it’s not a postage stamp-sized afterthought. Then, there’s the fact that it’s been thoroughly remodelled. 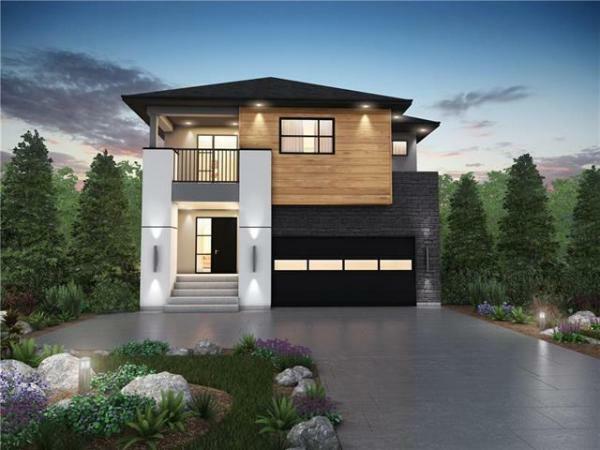 "It’s a chef’s delight, with a multi-coloured slate tile floor, loads of maple cabinets, pot drawers, black granite countertops, a slate tile backsplash, stainless steel appliances and a built-in gas cooktop," Arnason said. "There’s even a built-in desk that’s perfect for a home office, or to put a computer in so you can keep an eye on the kids while they do their homework." Next is a well-ordered bedroom wing that holds three bedrooms and a partially remodelled main bath. 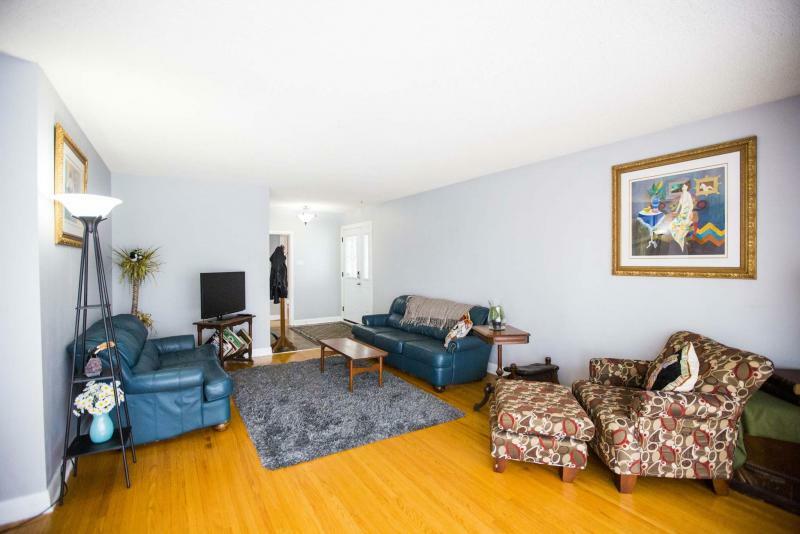 "Not only has the bathroom been updated with his/her vanities and sinks and a new floor, but all three bedrooms are very generous in size, something that comes from the excellent layout and the fact that the home is over 1,300 sq. ft. in size." A fully finished lower level with good ceiling height then adds another 900-plus sq. ft. to the home, Arnason added. "There’s a rec room with wet bar and gas fireplace, den/game room, three-piece bath, spacious laundry room and a big utility/storage room. 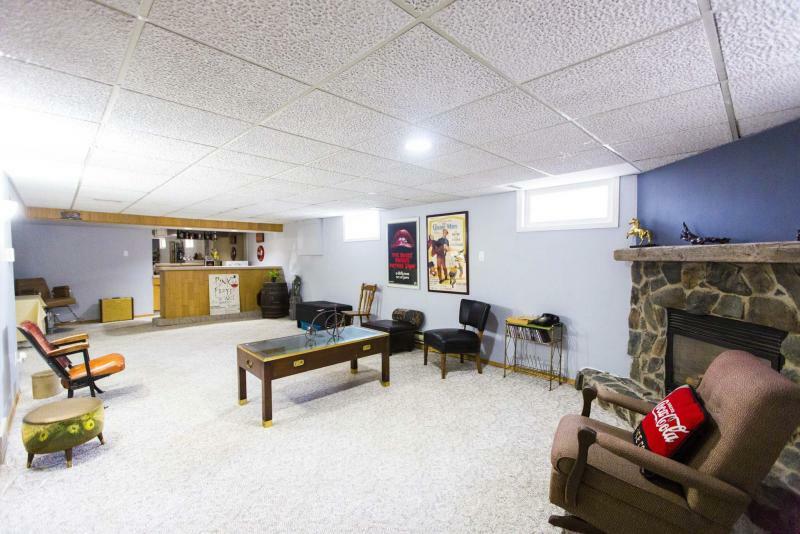 The rec room is a multi-functional space that’s great for entertaining or for kids to play in, while the den/game room adds extra utility to the home." 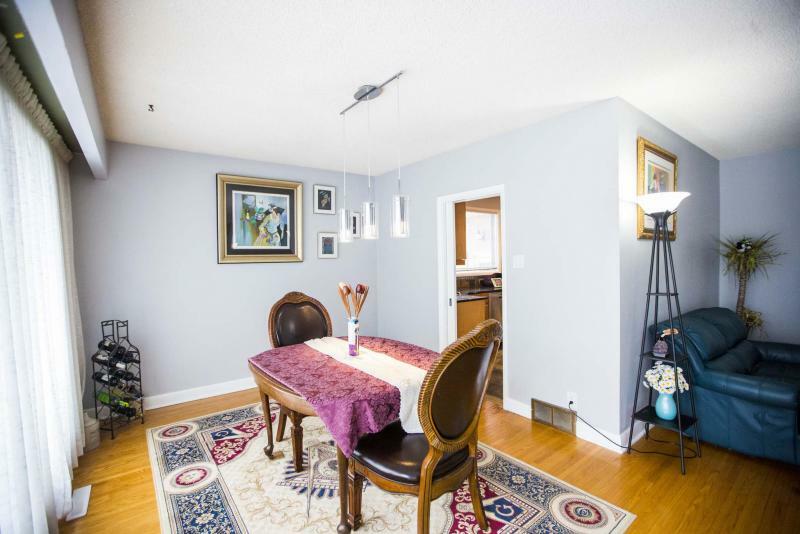 Add in a central location that’s close to schools, parks, playgrounds and a plethora of amenities (on Grant Avenue and the Kenaston strip), and you have an updated, move-in-ready home that has much to offer to empty nesters and young families. "The home has been well-maintained and beautifully updated, and is ready for its next owners to enjoy," Arnason concluded. Open house: Sunday April 14, 2:30 to 4 p.m.